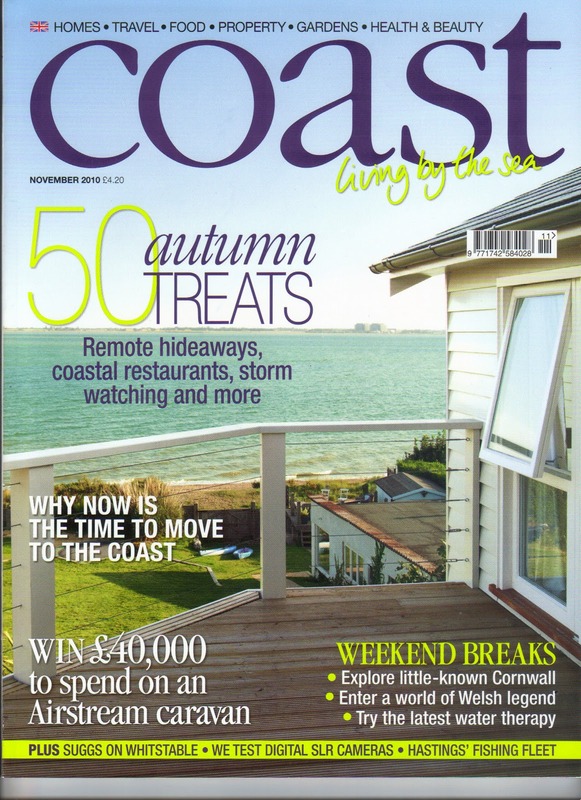 Coast is a monthly UK magazine dedicated to living by the seaside and feature homes, travel, food, property, gardens and health & beauty. 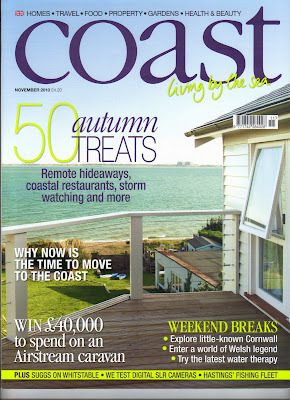 Gorgeous magazine with beautiful photographs. 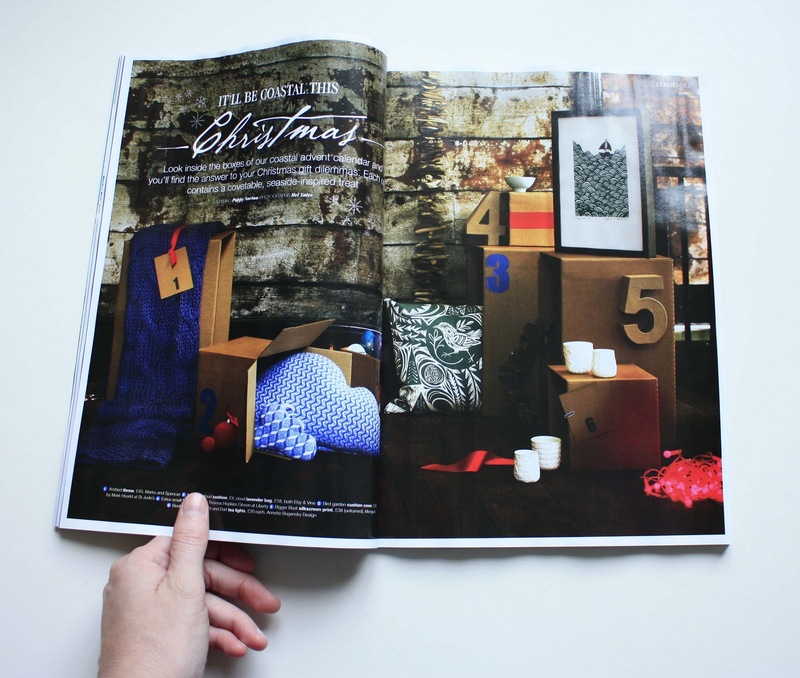 I was delighted when I flipped through the November 2010 issue and discovered Mengsel's "Bigger Boat" silkscreen print in a beautifully shot Christmas shopping spread. The shoot was set up to look like a Christmas advent calender (loved those with the chocolates behind each door as a child). 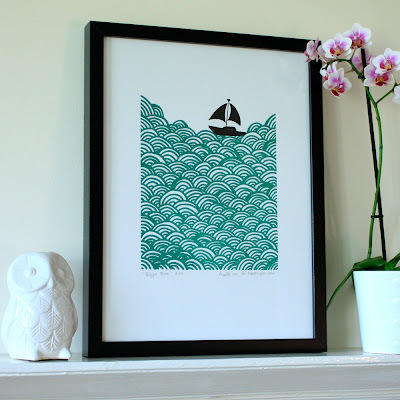 Each one contains a covetable, seaside-inspired treat. 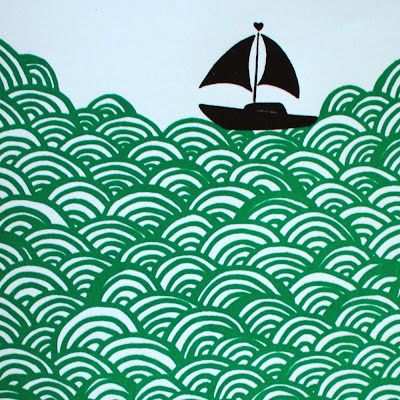 The "Bigger Boat" silkscreen print is available to purchase in The Mengsel Shop. Also available in a yellow wave colour option.